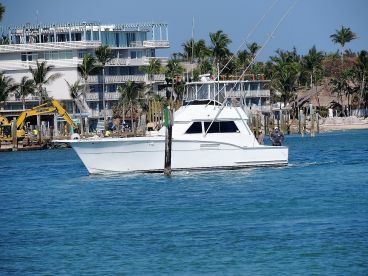 Islamorada Tarpon fishing is the perfect intersection of inshore fishing and the excitement of sport fishing. It requires a lot of patience, involves crashed dreams and often a lost catch. But each single moment of a Tarpon fishing trip has the aura of going after a truly royal species. Tarpon are brutes that move like ballet dancers. These fish are loved by anglers across the states, and admired by novice and pro anglers alike. 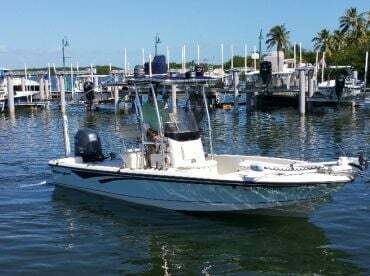 Those silvery, shiny scales bring smiles to any angler's face each time as if it were the first, and Islamorada offers scores of these kingly fish. 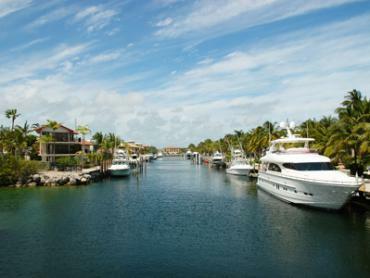 As with many other species that inhabit Islamorada’s waterways, Tarpon are in season here year round. The best time to get them is when the summer comes, anywhere from June until end-July. But, as a rule of a thumb, as long as the water temperature is above some 70 degrees, you can still spot a big one. And what a sight it is! 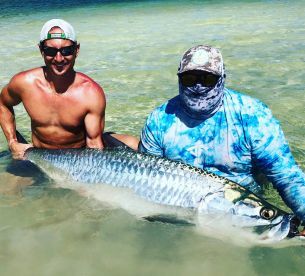 Often, anglers get to marvel schools of Tarpon swimming around, with an occasional display of acrobatics above the water followed by green splashes. With Tarpon, it’s not about keeping, it’s about catching and releasing. 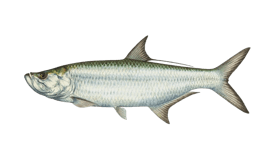 Not only are Tarpon hard to fillet, they are a protected species and fishing for it is strictly regulated. What they lack in taste, they double make up in their strength. As to where, go around bridges and channels if you’ve booked a shorter trip. 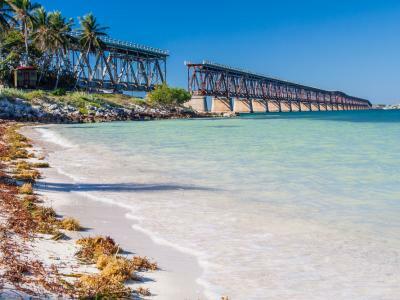 On longer trips, head towards the Everglades. The safest time is early in the morning or later in the day, as the sun is setting down. 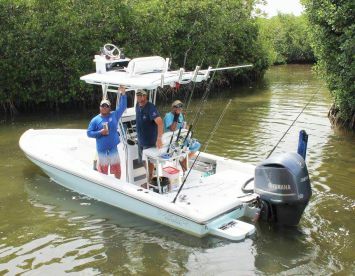 Tricks and trips for Tarpon fishing have been shared over and over again amongst anglers. 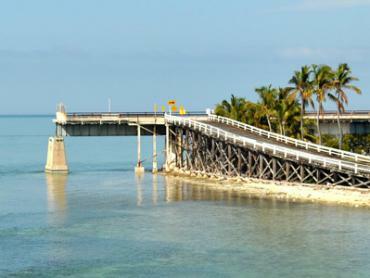 Some may work, some may not, but Islamorada Tarpon fishing is one adrenaline pumping roller coaster ride. 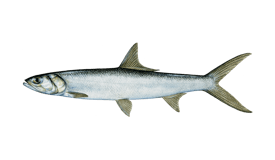 You can try live mullet on J hooks, live crab, or dead bait. Our advice? Give a couple of things a go and see what produces the best result. Now, as with any royalty, you’re expected to bow. 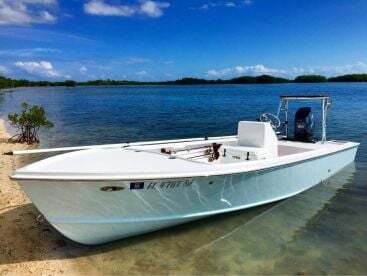 Same goes for Islamorada Tarpon, rightly known in these parts as the Silver King. 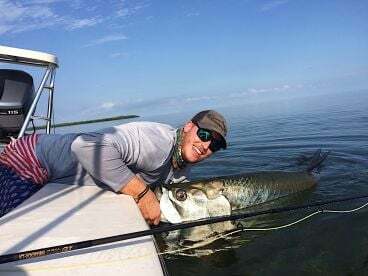 Once you see the fish jump out of the water, point your rod towards the fish to take the pressure off the line and prevent the Tarpon from breaking loose. 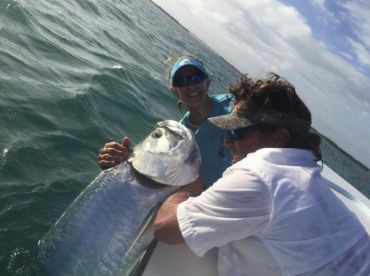 Local captains know how to get these fish and staying patient while listening to their guidance can often produce the desired result: you and a Tarpon in a same photo. Tarpon are a catch and release only species. When you fish for them, you should use barbless, single non-offset circle hooks for natural bait, a dehooking tool, and the gear that won’t exhaust the fish too much. Make sure to keep all Tarpon over 40 inches in the water, and don’t drag the fish over the gunnel of a boat. If you notice large predatory Sharks feeding nearby, find another spot before fishing for Tarpon. It’s important to handle this iconic fish properly to enable the survival of the fisheries. 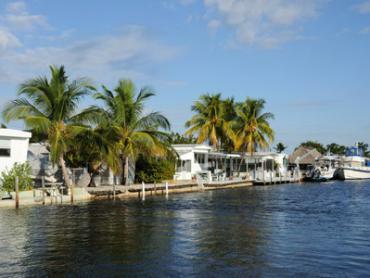 Tarpon fishing in Islamorada varies slightly throughout the year. High season is March to June. Low season is January and October to December. There is no closed season. Awesome experience... I asked for Tarpon and I hooked up on a 140+ lb ... beauty... fish-on! Thanks Keith. "Half day trip with Charles "
My son and I had a great day on the water with Charles. He is a knowledgeable guide, very good tackle. All my boy can talk about is the first tarpon he landed. Great memories. Would definitely use Charles as a guide again in the future. 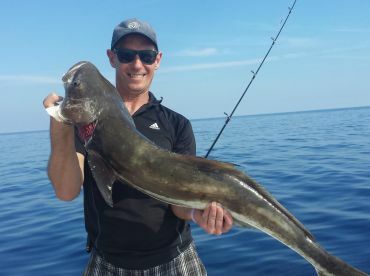 "Awesome day out on the water"
Captain Charles was helpful, considerate and friendly. He’s home grown Florida Keys and been fishing there all his life. The weather wasn’t cooperating for tarpon so Captain put us on the snapper. We pulled 10 out of the water in 30 minutes. We had a great time. Definitely recommend Charles.